For both Hindus and Buddhists, meditation is a key to liberation. 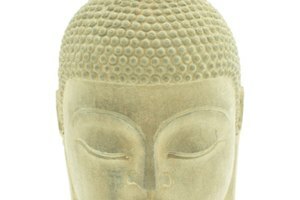 Buddhism and Hinduism are two distinctly different religions, but they also share a number of beliefs. This is a consequence of the fact that Buddha himself was a Hindu and conveyed his teachings in a Hindu context. Buddhists and Hindus alike refer to the Buddha as "The Wheel Turner," believing that he came to spin the stagnating wheel of Dharma, or Truth. Some Hindus believe he was an incarnation of Vishnu, the preserver. A common theme in all schools of Hinduism is that the creator God hides within the world, manufacturing maya, or illusion, so that all beings are deluded into believing that what they experience through their senses is real. 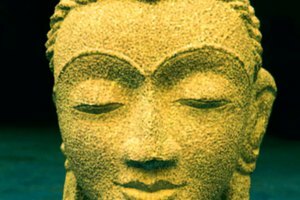 The Buddha similarly taught that all beings in the world live in ignorance of the true nature of things, which is the cause of their suffering. Both Hindus and Buddhists believe that it is possible, through meditation, prayer and right living, to wake from the illusion. "Dharma" is a Sanskrit word that refers to the natural order of the Universe, and it also connotes ethical conduct and proper behavior. In the Pali language, which is the one Buddha spoke, the word is "dhamma." 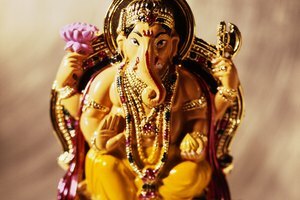 In traditional Hinduism, one manifestation of the dharma is a set of laws formulated by the ancient sage Manu. Each person who follows them by, for example, remaining within their prescribed class in society, is assured of spiritual happiness and fulfillment. In Buddhism, the dhamma generally refers to the teachings of the Buddha. Following them is, for Buddhists, the path to enlightenment and freedom from suffering. Both Hindus and Buddhists believe that individual souls are born into a succession of earthly lives, and that their karma determines the conditions under which they live each one. The word "karma" refers to a cause-and-effect process whereby each soul's actions have consequences, even though they may not be immediately felt. The cycle of lives and deaths continues indefinitely until the soul achieves liberation through practice of the dharma. For both Hindus and Buddhists alike, this involves letting go of desire -- both worldly and other-worldly -- because it is the root cause of illusion and suffering. Both Buddhists and Hindus speak of liberation from the cycle of birth and death -- or the wheel of samsara -- but they use different words. 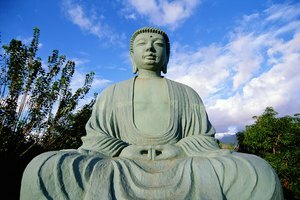 Buddhists use the word "nirvana," a Sanskrit word that means "extinguishing," while Hindus speak of "samadhi," or union with the divine. Sri Chinmoy, an Indian spiritual master who gave talks at the United Nations in the 1960s, likened the two concepts to high mansions with one important difference. Once you climb up, it is almost impossible to return from nirvana on your own. In contrast, if you remain in samadhi long enough, you'll simply forget to return. Deziel, Chris. "Four Beliefs Shared Between Buddhism and Hinduism." 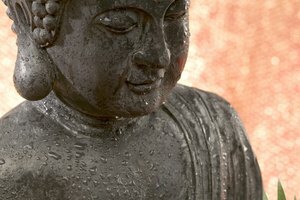 Synonym, https://classroom.synonym.com/four-beliefs-shared-between-buddhism-and-hinduism-12085840.html. 29 September 2017.